When I was younger potato salad was something I never would even try, however now as an adult its one of my favorite Fourth of July was a blast for my family! 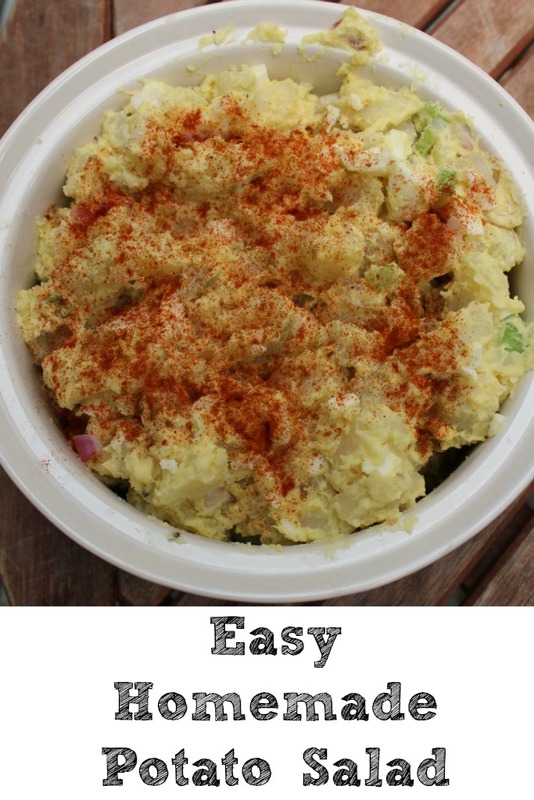 I have gotten to were I now prefer to just make potato salad vs buying it at the store. 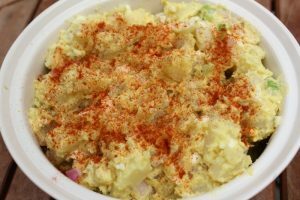 My favorite potato salad is -> Loaded Twice Baked Potato Salad but sometimes old fashion potato salad is just right too! Wash and peel the potatoes, then dice into small pieces. Once the water is boiling, place the potatoes in the pot. Do the same with the eggs. While those are boiling, chop up your onion and celery. Remove eggs from the pot of water after about 14 minutes and place them in an ice water bath to cool off. Keep an eye on your potatoes. When they are tender, strain them. 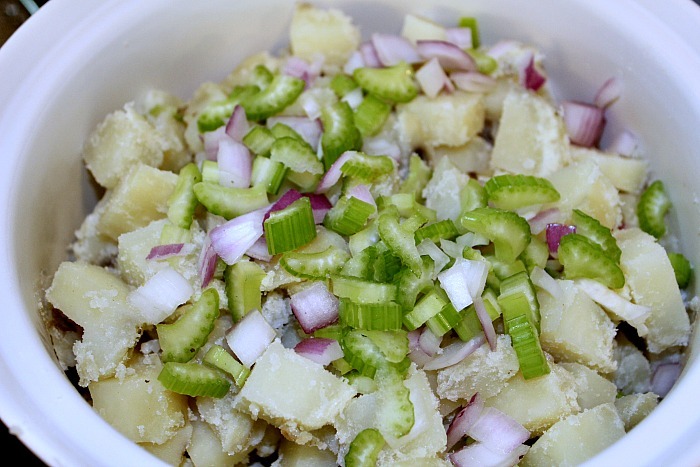 In a bowl, combine the potatoes, chopped celery, and onion. Add the remaining ingredients (eggs, mayonnaise, and mustard). Then salt and pepper to taste. Sprinkle paprika on top for presentation. Refrigerate until it is cold. Be sure to keep it at a food safe temperature during transport and at the get together. Be sure to keep this cold while at an outdoor BBQ. We kept ours on ice in a cooler on the way there and then put it right in the fridge upon arrival. It isn’t a bad idea to take a bigger cooler to fill with ice underneath as well to help maintain safe food temperatures. 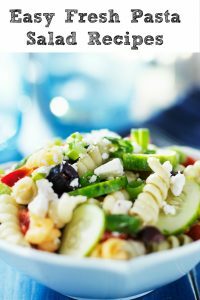 What is your go to side dish for BBQ’s? 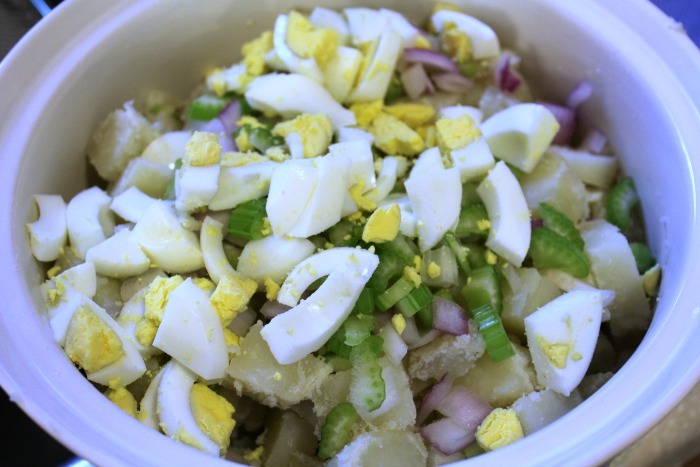 This easy to make Homemade Potato Salad was a huge hit at our Fourth of July get together! The best part of homemade is it taste amazing! Boil a pot of water for potatoes and another for eggs. Remove eggs from water after about 14 minutes and place them in an ice water bath to cool off. It’s still 90 degrees out here in DC, so we’re still eating summer food. 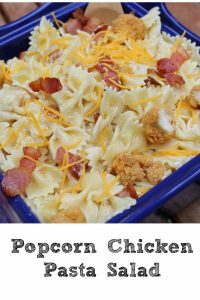 Thank you for this recipe. For some reason I just can’t get the hang of potato salad.